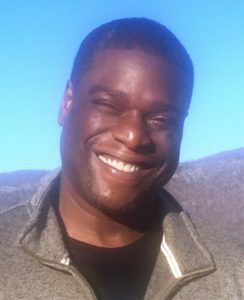 Doug Taylor, a former Akron East High School football player and longtime youth development professional, has been named to a leadership post by Boys & Girls Clubs of Cleveland. Taylor, an Akron native who now lives in Lyndhurst, is the new director of BGCC’s Broadway Club, which has the highest attendance total among organization’s 13 sites. From ages 12 through 17, the Akron East graduate belonged to Boys & Girls Clubs of the Western Reserve, where he was an active member, held Club leadership roles and got his first taste of organized basketball. “I’m a Club kid, so this is a chance for me to give back,” Taylor said. Injuries cut short Taylor’s college football career at the University of Pittsburgh, but he transitioned into youth development by accepting a position as a counselor and supervisor at The Summit Academy in Pittsburgh. After moving back to Northeast Ohio, he remained in the field, working at Signature Health and Cleveland Christian Home before being named to head Open Doors Academy’s program at Cleveland’s Mound School, where he interacted with many kids who attend the nearby Broadway Club. “I really felt blessed to be given the opportunity to lead this Club,” Taylor said. Taylor and his wife, Michelle, have been married for 20 years. They have three children: daughters Paris, 20, a junior at the United States Military Academy (West Point) and Peighton, 17, a Laurel School graduate who is headed to the Ohio State University in the fall, and son Douglas, 10, a student in the South Euclid-Lyndhurst School District.